Holly Willoughby was ranked ‘Tastiest Female Celebrity’. 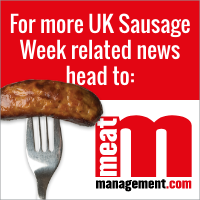 Taking a light-hearted approach to UK Sausage Week, Porky Whites has revealed who it believes to be the ten ‘tastiest’ British celebrities – and which sausage the business would pair each celebrity with! Sausage brand Porky Whites called on the public for help and hundreds of online public votes were cast to reveal the ‘tastiest celebrities from TV and radio, through to sport and politics. Holly Willoughby was ranked ‘Tastiest Female Celebrity’ beating Emma Willis and Stacey Solomon to first place. With Holly’s friend Gino D’Acampo being of Italian heritage, Porky Whites has paired her with Chickolatas Italian Style sausages. Tom Hardy was ranked ‘Tastiest Male Celebrity’, whilst Ben Shephard was ranked ‘Tastiest Male Breakfast TV Presenter’. 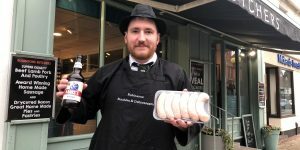 Ben was paired with Porky Whites’ Traditionals as the banger is described as a “long established and much loved sausage that you can always trust”. Susanna Reid bagged ‘Tastiest Female Breakfast TV Presenter’ and she has been paired with Porky Whites Originals. 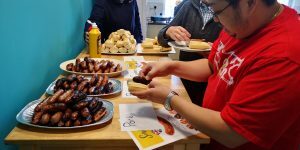 Meanwhile, Ronan Keating was ranked ‘Tastiest Male Radio DJ’ and Porky Whites paired him with its Surrey’s Sausages – which are made with a hint of real honey and lemon juice. ‘Tastiest Female Radio DJ’ went to Emma Bunton, and she was paired with Porky Whites’ Sweet Chilli and Lime sausages (said to be sweet just like Baby Spice!). David Beckham grabbed ‘Tastiest Sportsman’ with Porky Whites’ Beef and Pork Meatballs being paired to the celebrity. 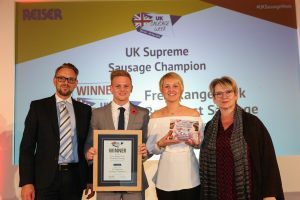 Dame Jessica Ennis-Hill was voted ‘Tastiest Sportswoman’, and Porky Whites believed her perfect pairing was its Porky Lights sausages, being meaty enough to satisfy the healthiest of appetites, but a lighter option. ‘Tastiest Male TV Chef’ went to Gordon Ramsay with Chickolatas Sausages with Sage and Onion being paired as his perfect match. Finally Nigella Lawson was voted ‘Tastiest Female TV Chef’, being paired with Saucy Whites. 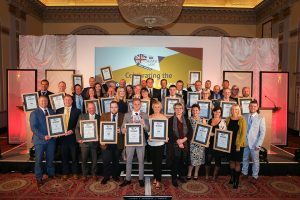 Graham White, chairman of Porky Whites, says: “The great British public really do have great taste when it comes to their favourite celebrities.